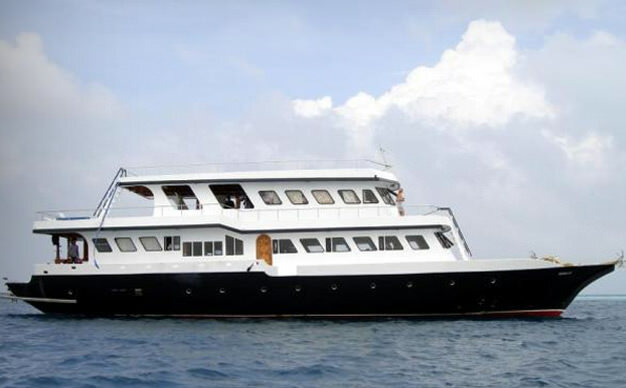 Best way to enjoy a Scuba Diving Holiday in the Maldives is on board a Liveaboard. Our wide range of dive cruises takes you to the best dive sites in the Maldives. The Maldives is one of the top exotic dive destinations in the world. Maldives waters have a rich marine life, including Whale Sharks, Manta Rays, Hammerheads and many more With over 20 years of experience and proud local operation, we are delighted to welcome you onboard our Liveaboards for a scuba diving trip of a lifetime. 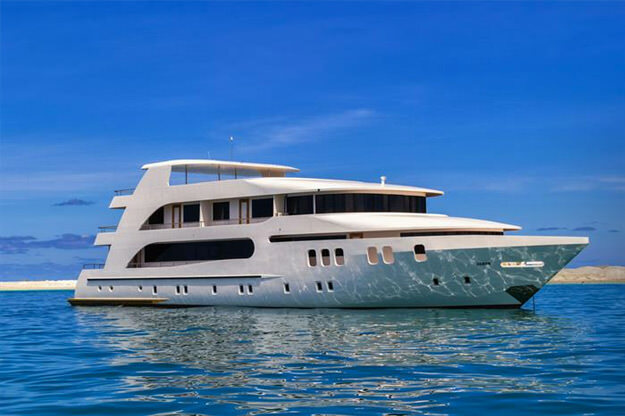 MV Adora is the 123 ft long brand new state of the art luxury yacht, the latest addition to the Maldives dive industry, It provides maximum tranquillity at sea. MV Adora has a total of 11 air-conditioned en-suite cabins. Price from $249.00/Day inclusive of full board & diving. I did 2 trips with MV Adora for Maldives Deep South in March 2017. The first trip, the Manager was Deko and second trip, it was Hassan Siraj. Both trips were equally good. The Dive Guides were attentive to divers and take great care of divers during dives. They were also entertaining during dive briefing and other times in between dives.